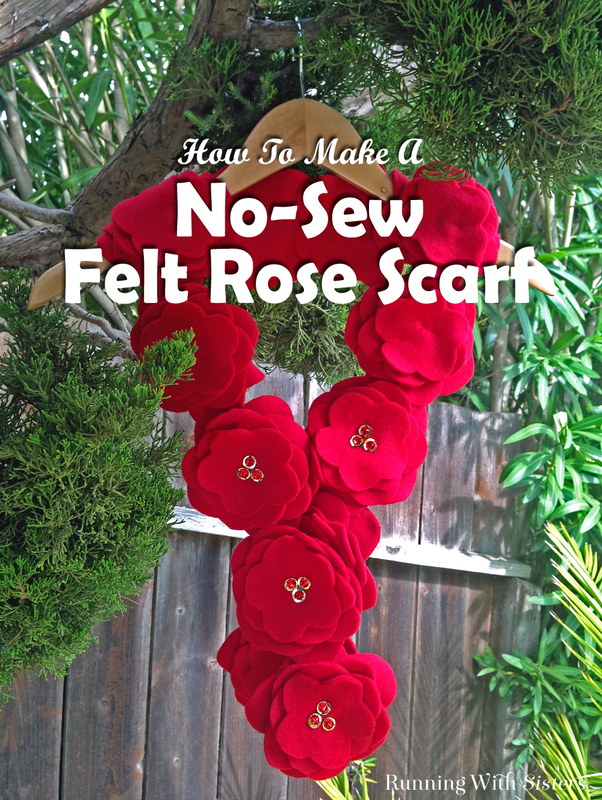 This no-sew felt rose scarf is super easy to make and oh-so-cute! 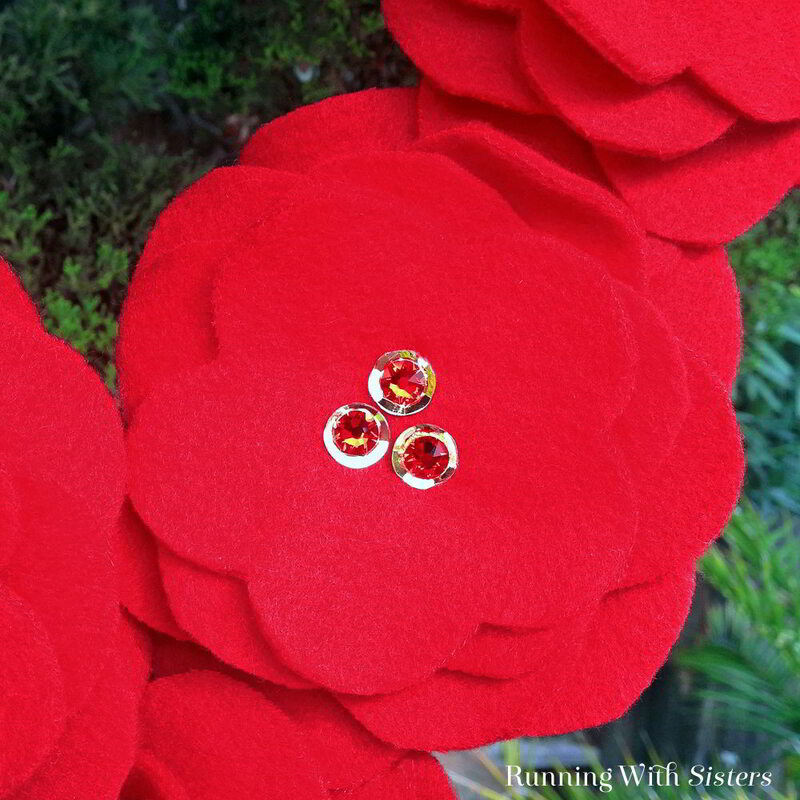 We just cut rose shapes out of felt (we used a thick fleecy felt that is very soft) then glued them together. Here’s how we did it. 1. 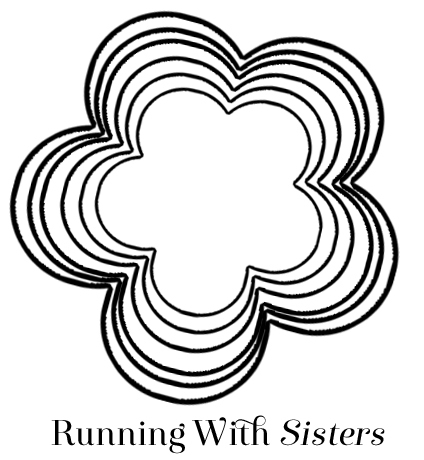 Use the template to cut out 12 flower shapes of each size. Glue the flower shapes together at the center, stacking largest to smallest, to make the roses. 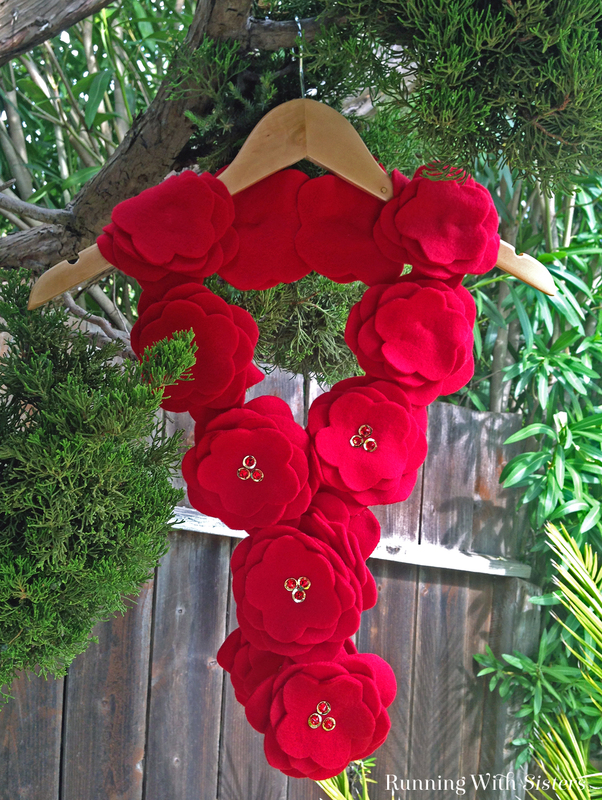 Print the template so that the largest rose size is the width you want your scarf to be. 2. Glue three sequins to center of each rose. Top each with a rhinestone. 3. Lay the roses end to end overlapping the largest flower shape on the back of each rose by an inch. Glue the overlapping pieces together to connect the roses. You can’t believe how soft and warm this scarf is! We love how it turned out!